Will Artificial Intelligence Replace Marketing Departments? Dozens of companies are starting up, it seems almost every day, to apply artificial intelligence and the connecting technology of machine learning to provide new ways to market, find prospects, and qualify leads. Existing companies are racing to use new AI applications in their own technology to compete by increasing their results while reducing costs and slimming down complicated processes. For many in B2B and B2C marketing, once they get past the rush of new technology, some are wondering how long it will take to automate the entire marketing process (including their job). 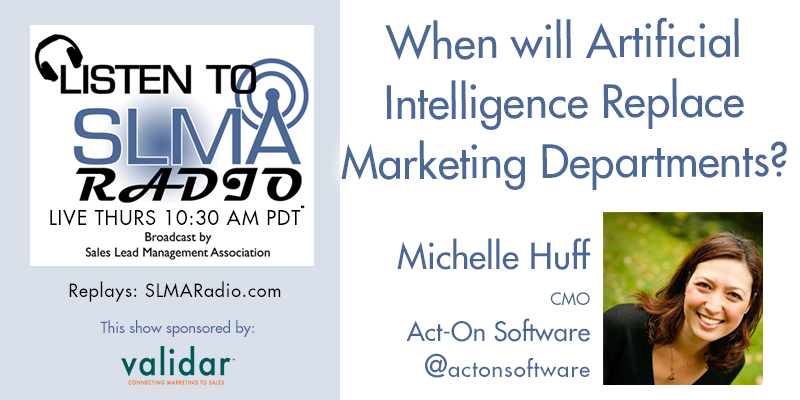 In this first of a series of interviews on the subject of AI replacing marketing people and departments, we speak with Michelle Huff, CMO of Act-On Software to answer the question. The host is Jim Obermayer.